Tigmonk is the pen-name of Tiger Singleton, who is playfully described by others as a 34-year old modern-day mystic; someone in intimate communication with the source of life. His gift is to clarify the experience of being human, so that Joy can be seen. Tiger currently resides... somewhere on planet Earth (Hawaii, Oregon, Thailand, or maybe Bali) and is an internal wellness Guide, Author, Speaker, Poet, & the Founder of The School of Blooming. His Teaching (Sharing) goes beyond mere intellect, and reaches deep into the Heart; making it quite clear that real liberation from suffering, conflict, and limitation, is a journey that begins and ends with our most Sincere Self. Tiger is available when scheduling allows to hold open or private workshops and talks, wherever it is he is traveling through. Traditionally sharing in the form of Satsang, which is a playful and sincere exploration into the Nature of Self & Reality, he also speaks to High School Students, Unity Churches, Corporate Organizations, and the like. Available for hire, or through event funding, Tiger can share powerful and fear-shattering insight that allows for the Self to recognize a more Sincere and Joyful way of living. Tiger is most known for his insightful yet casual videos shared through Facebook that offer practical application of insight & wisdom; the most popular of which (No Words Only Love) has over 400,000 views world wide. Tiger holds multi-day retreats, workshops, and talks around the world, with Annual 5 Day Retreats in Holland (June) and Hawaii (December). Currently, Tigmonk (Tiger) has two self-published books which can be found on Amazon.com, and some small book stores in Oregon, Washington, & Hawaii. The first one, "Intimacy with the Silent Nothing that is Everything" written in 2010 is a collection of quotes and poetry from Tiger's journal. Containing over 30 poems, and 300 quote quotes and insights. 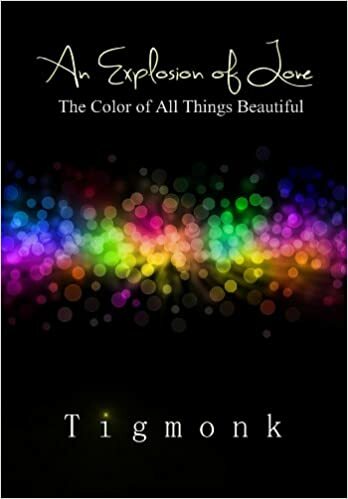 The second, "An Explosion of Love; the Color of All Things Beautiful", written in 2013, is about the Practical Application of Spiritual Insight & Wisdom, while allowing the Self to on your own authority in Complete Love. 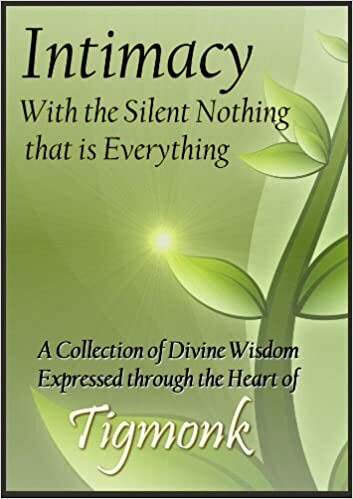 Amazon review... "I'm not sure where Tigmonk acquired all this knowledge but I've never met an author who is so on point about everything.You will see why the key to happiness is all so simple, yet our mind creates this world of complications and confusion. I encourage everyone, no matter what your beliefs are, or current situation is, to buy this book!"